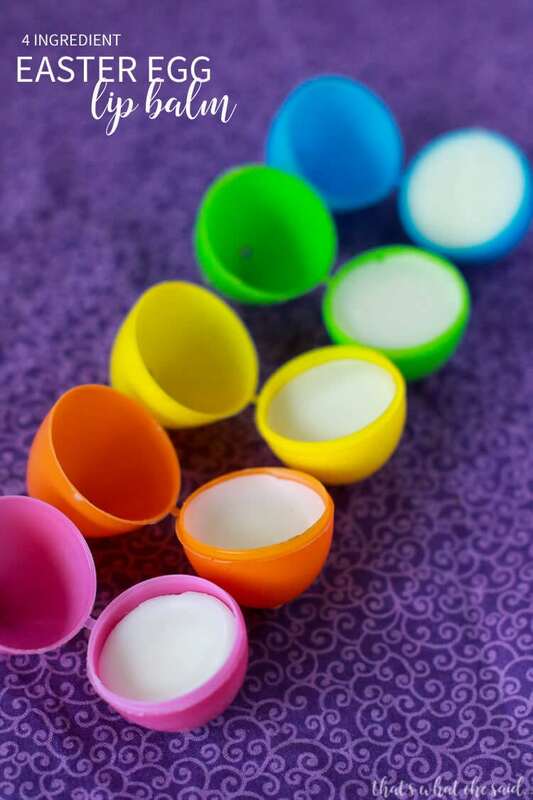 This DIY lip balm is perfect for a fun Easter treat or as a non-candy basket stuffer!! 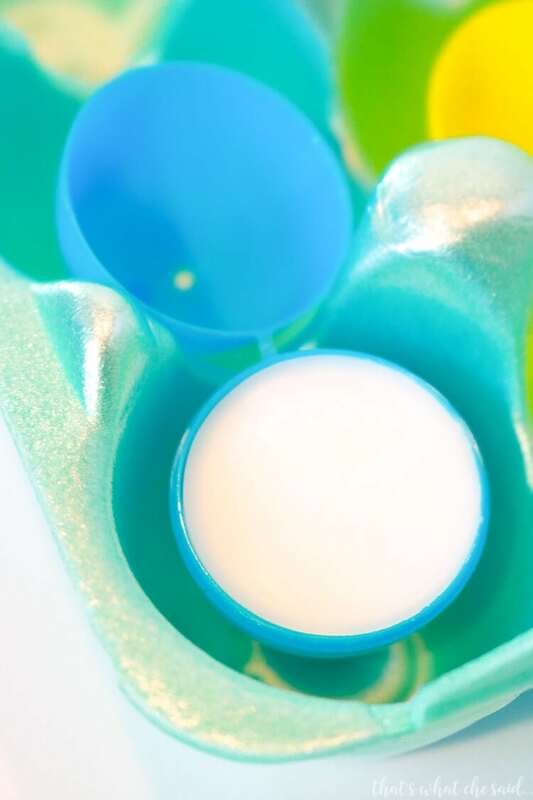 Easter Egg Lip Balm is a fun way to give a useful surprise! 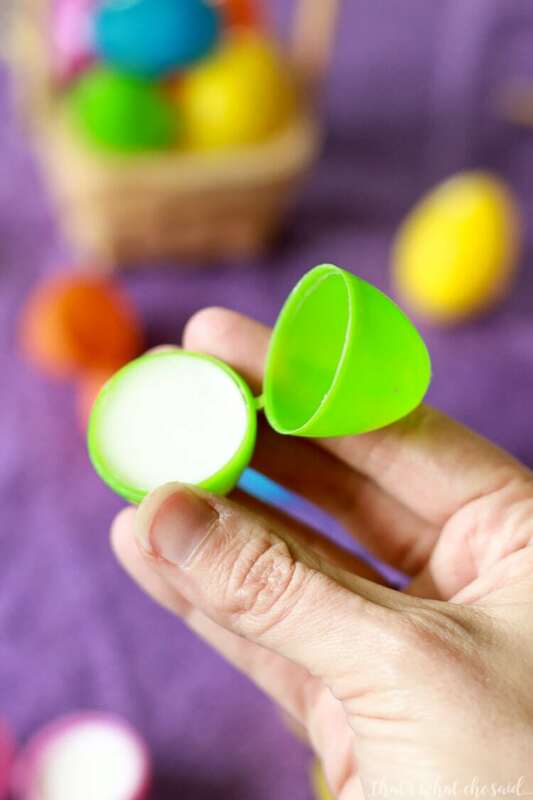 Clean small plastic eggs make the perfect little case for this delicious 4 Ingredient Lip Balm! 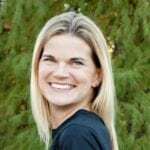 I am a big fan of essential oils and natural health and beauty options. I have shared before my 4 Ingredient Lip Balm Recipe where I put it in tubes and little tubs. 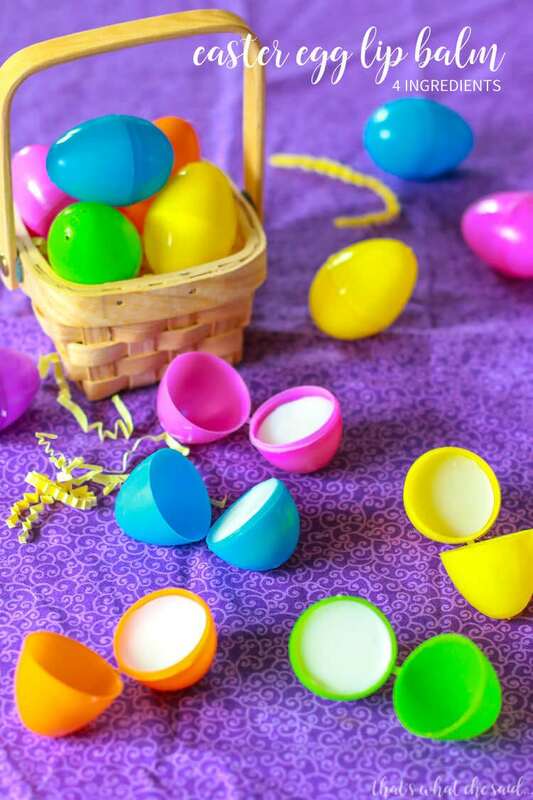 Using these small plastic eggs gives you that same awesome lip balm but in a super fun and Easter holiday related container! I picked up a package of the small plastic easter eggs and I washed them in soap and water. 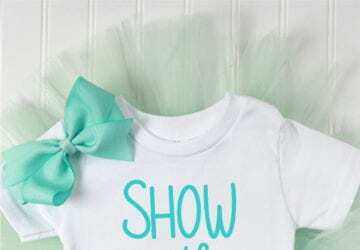 I am not sure this is necessary but since we are putting this on our lips, I thought it couldn’t hurt! Let them completely dry. If your eggs have small holes in the bottom don’t worry. 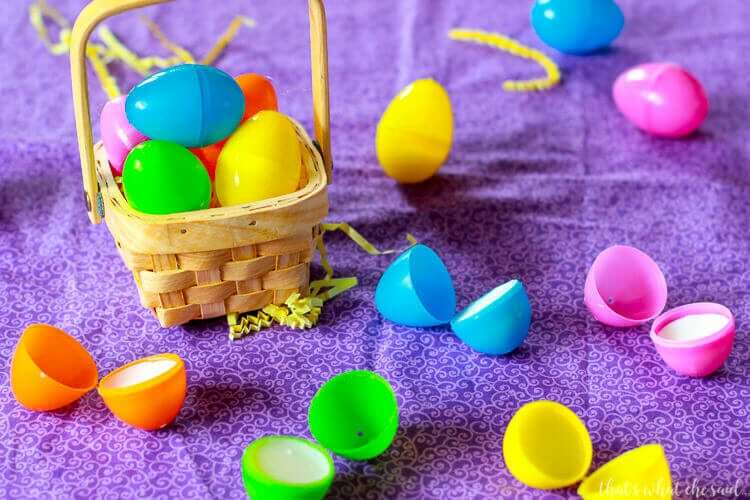 Place a piece of clear tape on the INSIDE of your egg covering the holes. 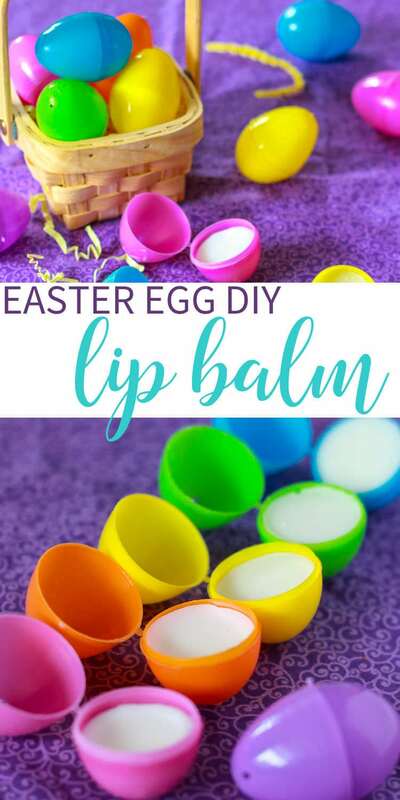 I feel that by the time you would use the lip balm down to that level you are ready for a new one anyway so it won’t matter if the balm touches the tape. The tape just creates a barrier until your liquid balm can harden to a solid. I included links for your convenience! First I washed my plastic eggs and as those were drying, I made my lip balm. I used the same recipe as my 4 ingredient lip balm however I used my softer balm method and added the extra tablespoon of coconut oil. You can find my complete recipe with tips and tricks in that post! Next I realized that some of my eggs had small holes in the bottom so I used some clear tape to cover those holes from the inside of the egg. I tried one with the tap on the outside and because the shape of the egg it did NOT work! So the rest of the eggs got tape on the inside and those worked great. 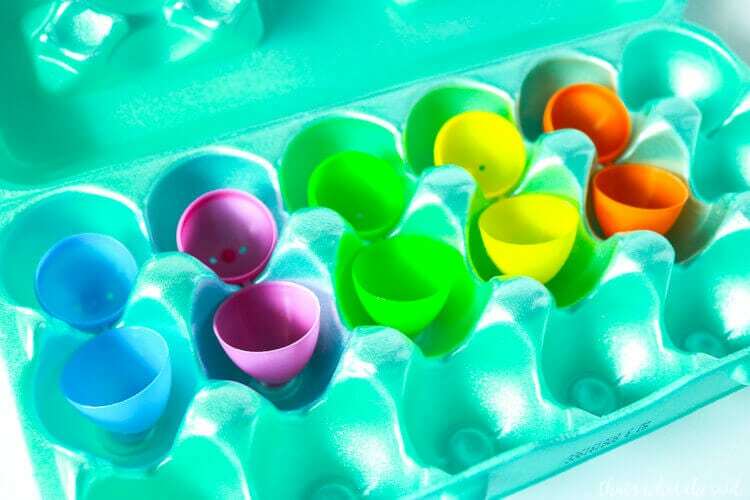 Then I used an actual egg carton to open and position my empty, opened plastic eggs. I filled the bottom half of each egg. Pour slow and fill pretty full. The liquid balm shrinks as it solidifies. Then I let them sit on my counter until they hardened up. Which was no time at all. If your liquid mixture begins to harden just pop back in the microwave for a few and stir again. 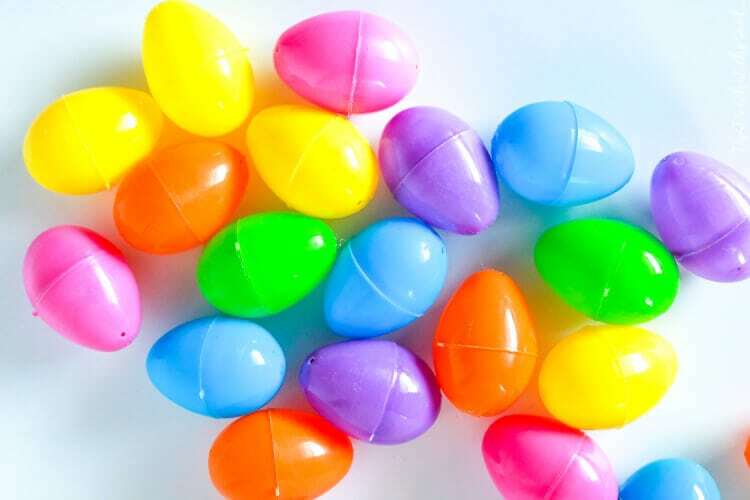 Now you have some super cute Easter Lip Balms to gift and use for basket stuffers! 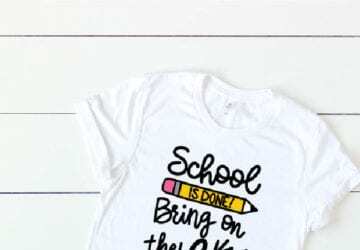 IF YOU LIKE THIS NON-CANDY BASKET STUFFER, DON’T FORGET TO PIN IT!